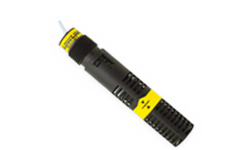 The intrinsically safe or general purpose level switch package provides liquid level detection up to 10’ (3m) with 1-4 adjustable level switch points and a compact junction box for wiring termination. Offered in three sensor technologies, choose the type based upon your application media. This PP level switch package is selected for day tank, skid or machine, cooling tower, waste sump or process tank applications, connected to a PLC or relay controller. The general purpose level switch package provides automatic tank filling or emptying up to 10’ (3m) between two adjustable level switch points. The compact relay controller with optional strobe provides one latching 16A relay for pump or valve control. Offered in three sensor technologies, choose the type based upon your application media. This PP level switch package is selected for day tank, skid or machine, cooling tower, waste sump and process tank applications, requiring detection and control. The intrinsically safe or general purpose level switch package provides high or low liquid level detection with one relay or reed switch output, and a compact junction box for wiring termination. Available in three level sensor technologies, choose the sensor type based upon your application media. This PP or PVDF level switch package is selected for bulk storage, IBC or drum, and neutralization tank applications, connected to a PLC or relay controller. The general purpose level switch package provides high or low liquid level detection with one 16A compact relay controller for pump or valve shut off. The optional flash alarm brings attention to alarm conditions. 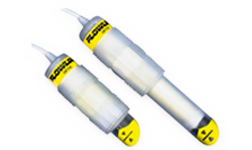 Available in three level sensor technologies, choose the sensor type based upon your application media. This PP or PVDF level switch package is selected for bulk storage, IBC or drum, and neutralization tank applications, requiring detection and control. Supply voltage: 120 / 240 VAC @ 50-60 Hz. 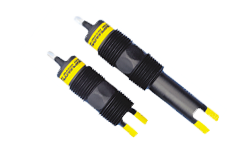 The general purpose vibration liquid level switch provides high or low liquid level detection of dirty liquids or those with light to medium coating or scaling characteristics with a 1A relay output. Media examples include wastewater, diluted caustic soda and copper sulfate. For optimum performance, the sensor automatically adjusts for coating build up, and if necessary, outputs a proactive maintenance alarm to request cleaning. 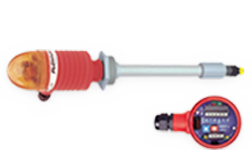 The submersible PP-Ryton® level switch sensor is universally mounted through the tank wall or inside the tank, and connected to a PLC or relay controller. 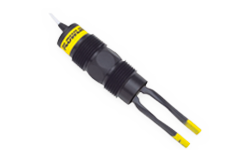 The general purpose buoyancy liquid level switch provides high or low liquid level detection of relatively clean water and chemical solutions with a 15VA reed switch output. Media examples include potable water and boric acid. The baffle body eliminates level switch chatter caused by turbulence. 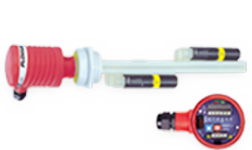 The submersible PP or PVDF level switch sensor is mounted vertically inside the tank, and connected to a PLC or relay controller. 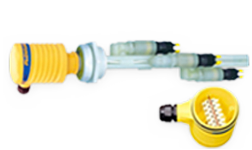 The general purpose optic leak switch provides liquid leak detection in and around secondary containment sumps, tanks and piping systems with a 1A relay output. Media examples include sulfuric acid and sodium hypochlorite. 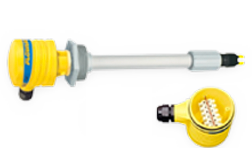 The submersible PP or PFA leak switch sensor is mounted through the containment wall or within the interstitial space, and connected to a PLC or relay controller.